1). Wash the avarakkai and remove the fiber on the sides. Cut it into 2inch pieces. Grind the items listed under "to grind" to a fine paste, adding little water. Extract juice from tamarind and keep aside. 2). Heat oil in a pan, add cinnamon stick, cardamom, bay leaf, cloves and saute till fragrant. Then add onions ans saute till translucent. Then add ginger garlic paste, tomato, and saute till it turns soft. 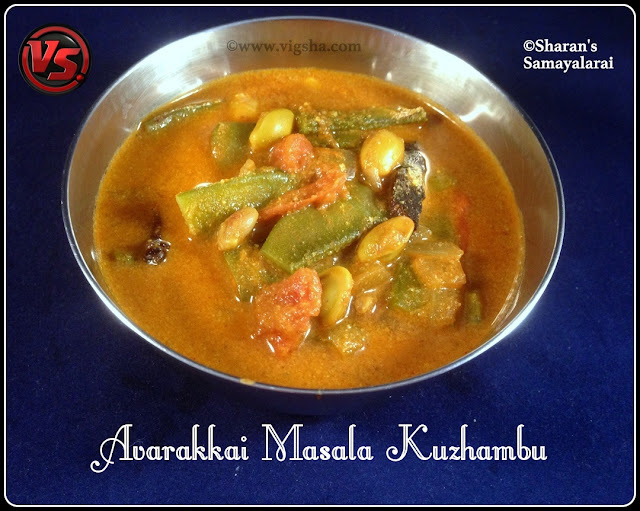 Then add chopped avarakkai and saute for a minute. 3). Add coriander powder, chilli powder, sambar powder, turmeric powder and combine. Then add tamarind extract and let it boil till the raw smell goes. 4). Cook covered till the veggies get cooked and raw smell goes from the tamarind extract. Keep stirring once in a while to prevent getting burnt in the bottom. 5). Add the grounded paste along with a cup of water. Adjust the gravy consistency and check for salt. Let it boil until the kuzhambu foams on top. Switcj off and garnish with coriander leaves. Serve how with rice and appalam. # Shallots suits best for this gravy. 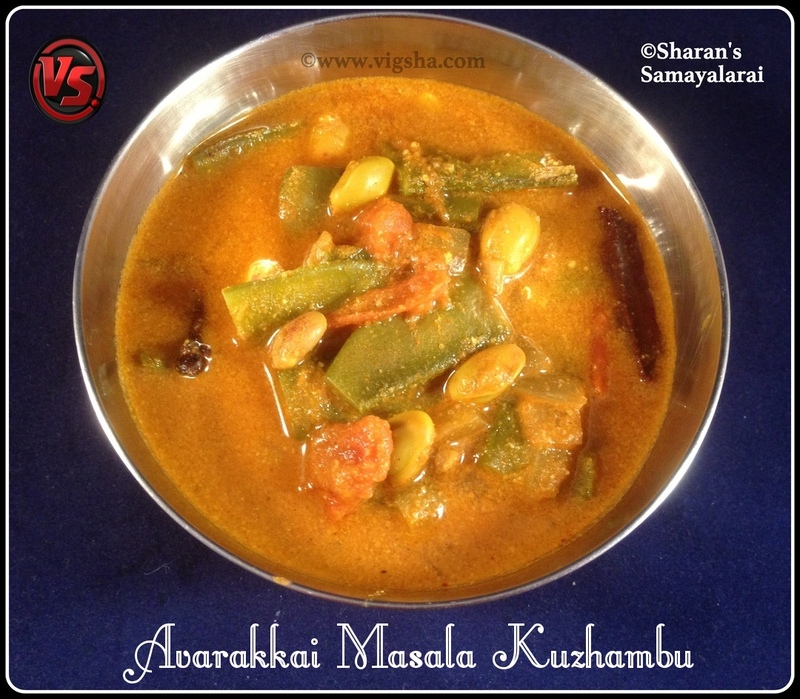 # You can substitute any veggie instead of avarakkai for this recipe.